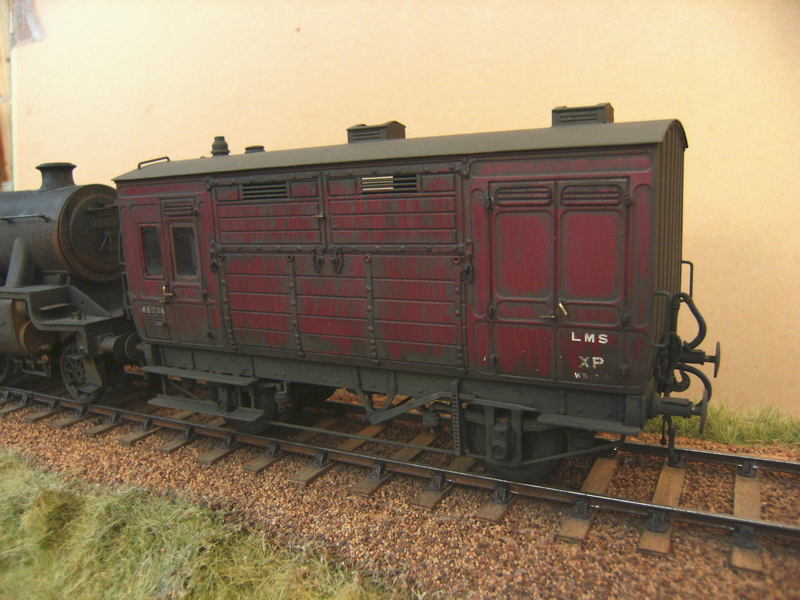 Nth Staff’s horse-box built to S7 standards for a client, finished in LMS livery. I have used a D&S brass kit, the axle boxes are sprung as are the buffers and couplings and it has a scratch built interior to the grooms compartment. My customer requested a fairly grubby weathered condition which hopefully I have re-created on this model. I am unsure if these made it into LMS livery, so there may be a bit of modellers licence in this, on behalf of my customer, who changed his mind on the era he wishes to model from pre-war to mid-’40’s. I can quote for building, painting and weathering Non-Passenger Coaching Stock, such as this example, in S7 & F/S standards. 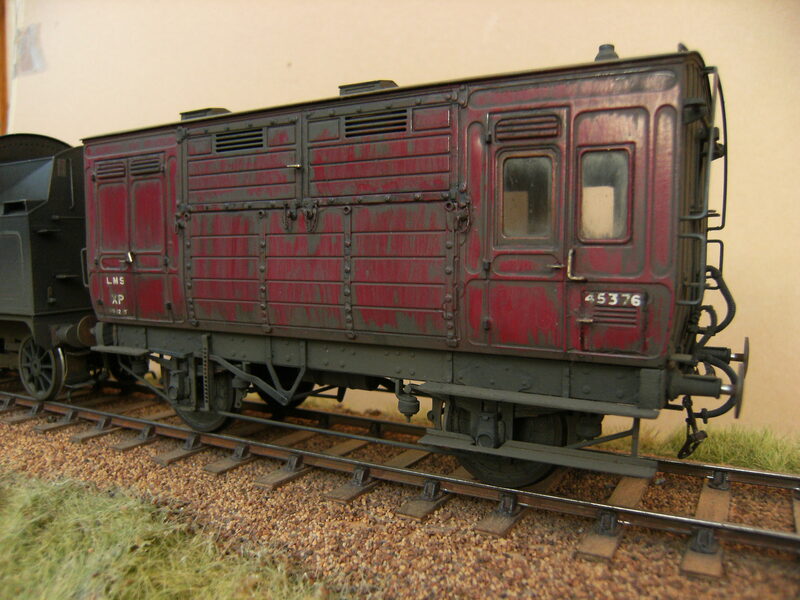 This model is now part of the Peter Cavalier Collection in the care of the East Anglian Area Scale Seven Group.